The study of formations and dynamics of opinions leading to the so called opinion consensus is one of the most important areas in mathematical modeling of social sciences. Following the Boltzmann type control recently introduced in [G. Albi, M. Herty, L. Pareschi arXiv:1401.7798], we consider a group of opinion leaders which modify their strategy accordingly to an objective functional with the aim to achieve opinion consensus. The main feature of the Boltzmann type control is that, thanks to an instantaneous binary control formulation, it permits to embed the minimization of the cost functional into the microscopic leaders interactions of the corresponding Boltzmann equation. The related Fokker-Planck asymptotic limits are also derived which allow to give explicit expressions of stationary solutions. 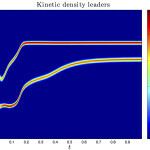 The results demonstrate the validity of the Boltzmann type control approach and the capability of the leaders control to strategically lead the followers opinion. 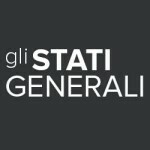 Article on the Italian blog Gli Stati Generali: Manuale per un leader: strategie matematiche di controllo dell’opinione pubblica.